There was a group of people trying to break a world record regarding fireworks. 100,000 fireworks in 60 seconds. Instead, the barge caught fire and exploded. I wish this was funny. I really, really do. Just use your imagination. I promise it will be. 4. Those cheap fireworks you find at the end of a Mario level. 5. The fireworks (fireworks meaning bombs rigged to blow up ferries containing both innocent civilians and convicted criminals) that the Joker thought would go off at the end of The Dark Knight but didn't. (When it came out way back in 2009, my brother randomly decided he was going to nerd out over it, and I've had to hear about it every day since...). 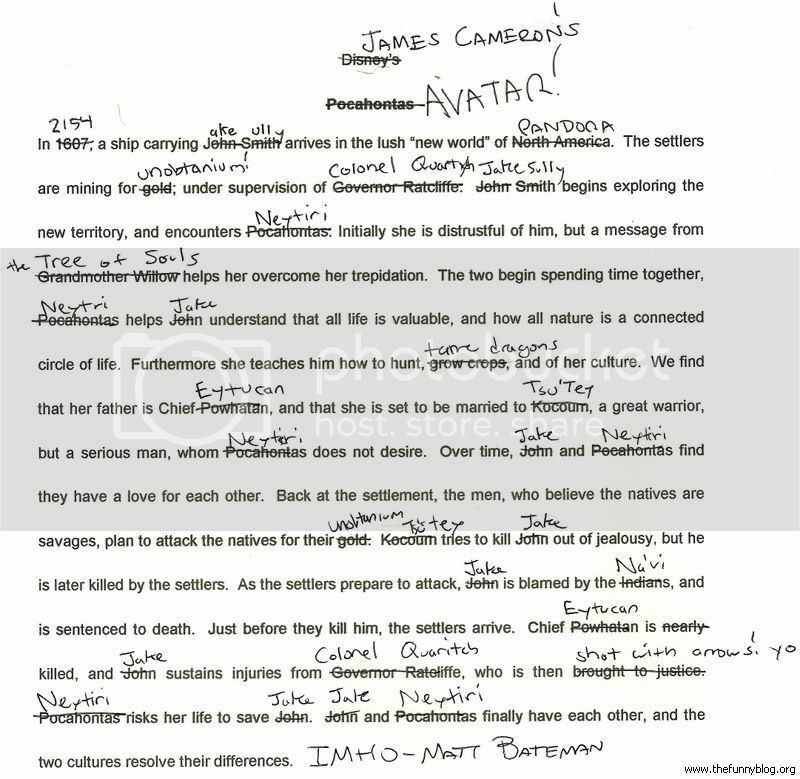 I never watched that movie solely on the principle of James Cameron having an enormous ego and the billions Avatar made only serving to inflate it even further. I'd rather watch the Disney version. But you're a fan of Angry Birds. 6. The daily offerings of Team Rocket. I mean, with a name like that you'd think their launches are spectacular, but their show gets old quickly, and you'll find yourself forcing yourself to stay awake mumbling something about them blasting off again. The existence of this thread makes me so happy. I'm sure if I saw Avatar, I'd like it. Just like I like Angry Birds. It's that it's not free, unlike Angry Birds, and I wasn't particularly interested it, unlike Angry Birds. 7. The Legend of Zelda Fairy Fountains-The fireworks just slowly move in circles. And if I touch them they spiral around Link and then disappear. Where are the big booms? There's one firework that comes out of Link. It always is shouting "Hey!" and "Listen!". 8.Fireplacing- I feel bad for the people who worked to create that virtual fireplace. They created a one-of-a-kind infamous example of WiiWare shovelware.